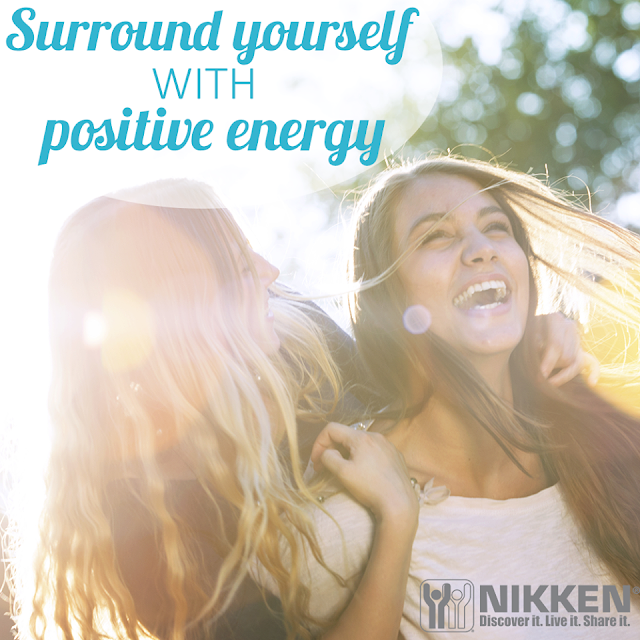 For a great business opportunity why not become an independent distributor for Nikken? You can work flexible hours, earn a regular income, be your own boss and live a better life. Take control of your financial future by becoming an Independent Nikken Consultant. My name is Nicki Edgell and I have been a Nikken distributor for nearly 10 years. After discovering the Nikken magnetic sleep system and using some of the other products I could see the potential of sharing my experience with others and decided to take up the business opportunity. Now as one of the most established distributors in the UK I want to use my connections and the marketing tools I have available to bring the opportunity to more people. Become an Independent Nikken Consultant with me, and you open up a new world of possibilities. You’ll discover - as thousands already have - how you can follow a proven pathway to a life of wellness and financial security. Pursue your dreams at your own pace, or make use of programs and incentives that will put you on the fast track towards achieving everything you want. Before beginning, you will want to ensure that the Nikken Consultant opportunity is the right opportunity for you. Sometimes, becoming a customer is the better option, at least in the first place. You will usually want to experience the products and what they can do for your own health before you begin to share them with confidence with other people. Having lived with Nikken products for a period of time many find it quite a natural process to begin to share their knowledge and distribute Nikken products themselves. The Nikken way is discover it, live it, share it, ... in that order. This is typically the route many people take with Nikken. But of course it really depends on what your goals are and whether becoming a consultant will fit your needs. Some want to build a business that becomes their main employment, others may want to just spend a few hours a week supplementing their main income with just the occasional Nikken commission too. What are the benefits of becoming a Nikken distributor? One of the best things about becoming an Independent Distributor for Nikken is the second income. When a customer buys from you, in person, or online, you will receive a commission. In addition, if you sign up someone who also wants to be a distributor, you will get a share of everything their customers spend as well. Build up your customers and distributors, and after a while you’re getting good money every month, even when you’re having a week off! Nikken is a network marketing company. This means that it sells its products purely through word of mouth of it's consultants who earn commission on their sales. Consultants are not employed and do not earn a salary. They are essentially their own boss and within Nikken's terms and conditions are able to run their own business as they see fit. A consultant's earnings are not limited to a salary nor a function of their hours. The hours you put in will be towards your own business and not someone else's. Earnings can be made from anywhere in the world, while asleep or on holiday. 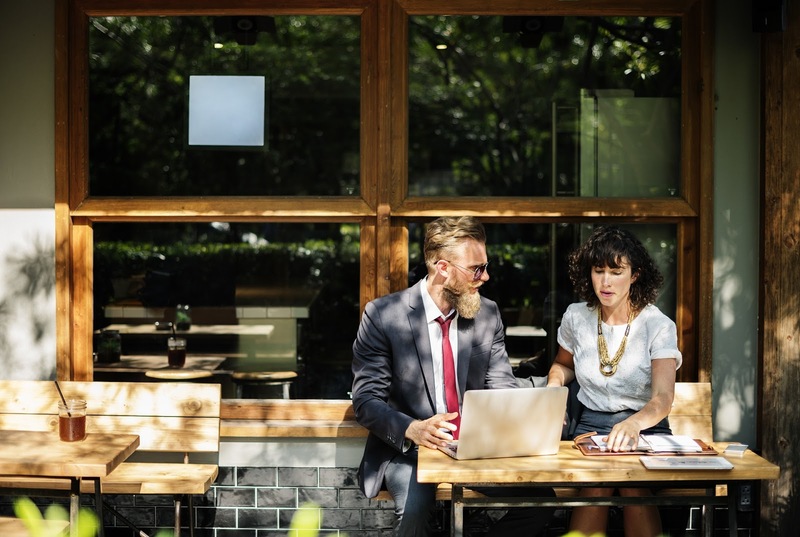 While many consultants have been successful setting up their own retail business the key to large earnings is to build a team - each consultant can build their own network or "downline" and earn commission on their own sales, and also the sales of their team. This is a great advantage of the network model - earnings can be limitless as the number of sales teams you have in your organisation, and the level of their activity, is potentially limitless. It is a "win win" - you are helping your upline, your downline (through demonstration, mentoring and training) and yourself. Momentum is reached and your business can start to grow exponentially. Learn here why financial gurus Tony Robbins and Robert Kiyosaki advocate network marketing >>. One of the great things about the Nikken Consultant opportunity is that you can really do the business in the way that feels best to you. When you begin most commission derives from the 20% earned on your own sales (this is one of the highest basic commissions in the industry). But for the highest ranking consultants managing large teams, over 90% of their income comes from their 6% leadership bonus which they earn on their team sales. To see some real earnings figures from Nikken please see this blog post here>>. Please note a network marketing opportunity is not easy money and statistics across the industry generally show around 5% of consultants are successful. It is illegal for a promoter or a participant in a trading scheme to persuade anyone to make a payment by promising benefits from getting others to join a scheme. Do not be misled by claims that high earnings are easily achieved. You need patience and persistence. You need to make a decision, treat the business as a serious opportunity and stick to it. With hard work and dedication and by duplicating certain methods I can teach you, you will have a better than average chance. But remember it's not all about the money. You will help others. You will help your own health and that of your family, and progress personally and professionally by learning new skills that can be transferred to all walks of your life. You will meet a lot of great people and have a lot of fun along the way too! Read more about what I do here>>. Many people cite their own self-development as a key advantage during their time with Nikken. When you have built a team you will acquire leadership skills that may have remained undeveloped in your previous job. I am looking for positive, optimistic, spiritual, and inspiring people who are interested in self development and personal growth, and are excited about helping others make a difference in their own health and lifestyle. People with an interest in alternative health and wellness, who are active in social media and networking, and enjoy sharing their enthusiasm with others. I am looking for good listeners with empathy and enthusiasm for sharing fantastic life changing products with integrity and enthusiasm. 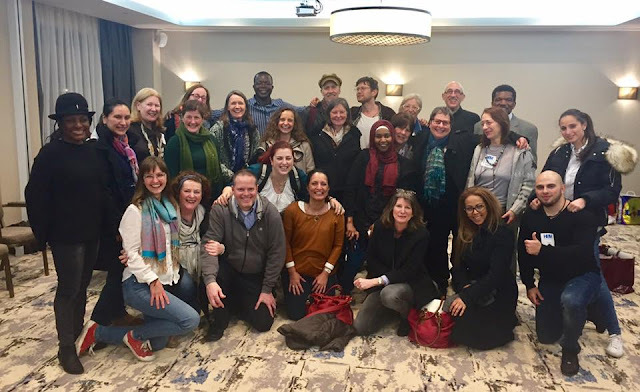 You will become part of an exciting, happy, supportive team - both through joining your immediate colleagues, and through gaining access to inspirational world leaders and mentors through webinars and national and international events and workshops. If you are looking to work in a heart centred company with like-minded people in "collaborative entrepreneurship", to help others with their health and wellbeing, while making a living too, then this may be the business for you. Please see our page here to meet our UK based Nikken team. You may also like to view this introductory video below from Royal Diamond consultant Julie Tara who has been with Nikken for over 20 years. Interested? If you think this opportunity may be for you join us at one of our regular meetups below or give me, Nicki Edgell, a call today on (0044)7786 405366. I am looking forward to meeting you! Regular "opportunity" meetings are held for those interested in exploring the Nikken Business Opportunity where you can learn more and meet others. - Each week on Tuesday at 12.30 pm former Nikken president Ben Woodward holds an Introduction to Nikken online seminar via Zoom or Skype. The call is open to all interested in hearing about the business opportunity and lasts 30 minutes. Please call me to make an appointment. 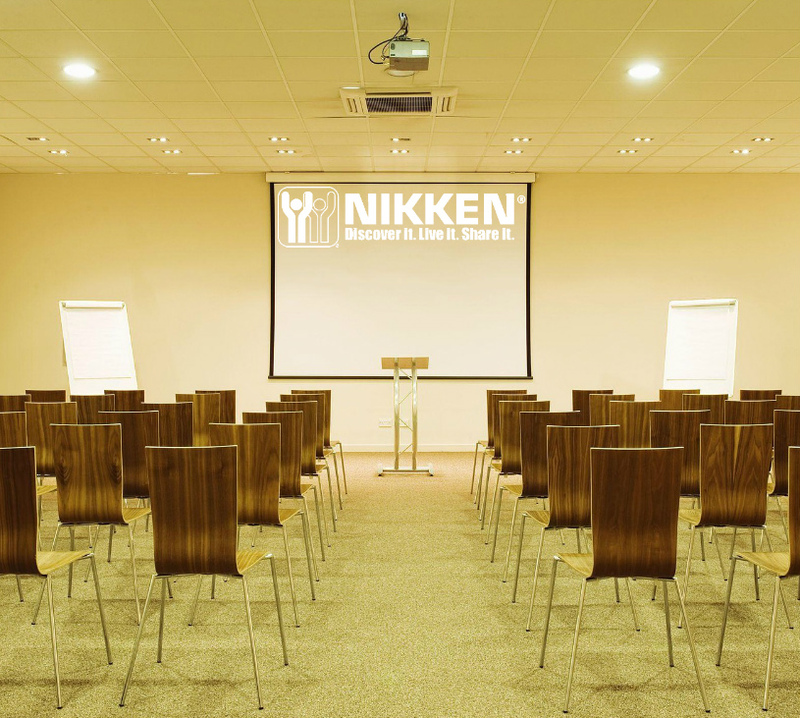 - Nikken weekend presentations are held each quarter usually at the Jury's Inn Hotel, Brighton (behind the train station). These are divided between a morning session for potential customers and an afternoon session for consultant training, for both existing consultants and new potential consultants looking at the business opportunity. Please call for the next event.